HAPPY NAVRATHRI TO ALL MY BUDDY BLOGGERS & VISITORS!!! 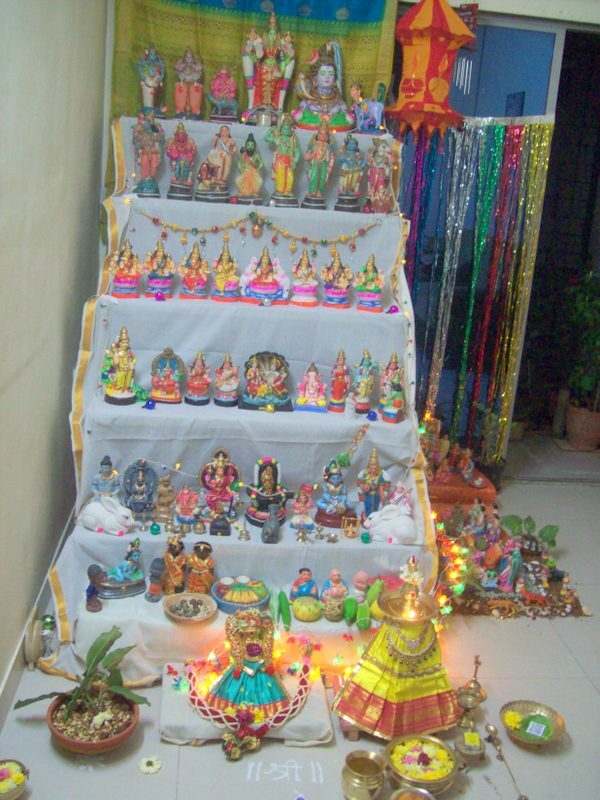 Navarathri Golu is one of my favorite Indian festivals where we get to see lots and lots of beautiful dolls. 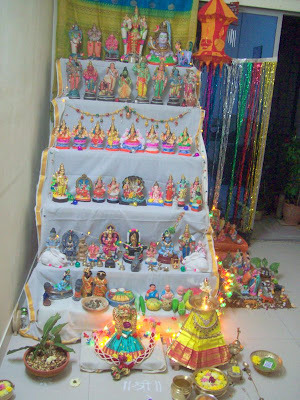 This year I got some help from my children cleaning up the dolls, setting kolu padi, giving manjal kumkumam to friends etc. Yesterday for Neivedyam I prepared Rava laddoo. 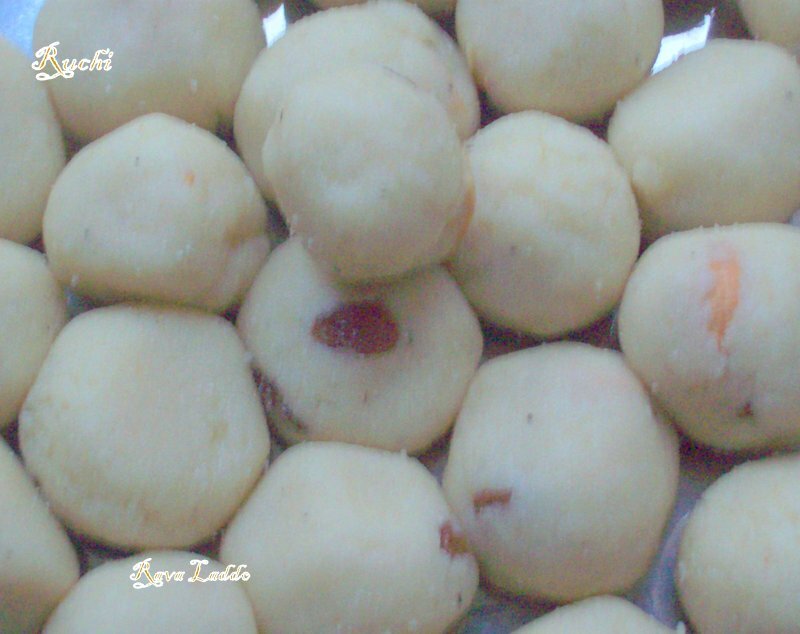 It is a traditional Indian sweet made from semolina/rava and sugar and bound together with ghee to form small balls.Everyone make this ladoo in different version. I prepared this laddoo in different way and it just melts in your mouth. Here is my version of this recipe! 1.Dry roast the rava in a wide pan till nice aroma arises. Make sure the color of rava doesn’t change. 2.Let it become warm and then grind it to a fine powder in your mixer Make sure there are no granules and sieve it. 3.Mix powdered sugar, rava and cardamom powder. 4.Break cashew into small pieces and fry in a tsp of ghee until golden brown. 5.Add the Melted ghee little by little at a time and start mixing and cashew nut, raisins to the ground rava powder and mix well.Stop the ghee when u are able to make a ball. 6.Take a small amount of mixture in your palm, Make small lemon size balls out of it and store in an air tight container. 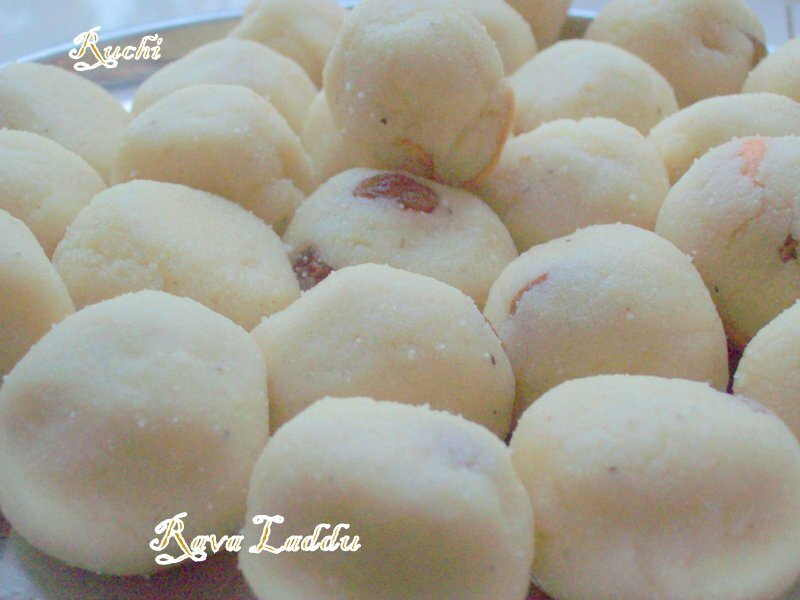 7.Rava Ladoo is ready to eat.Enjoy this yummy Rava Ladoo. Woww beautifully made, those laddoos looks like a ball and prefect. Golu looks fabulous Akka, beautiful!